The advantages of double glazing, how much you could save on your energy bills and what types of double glazing are available. For many households, having double glazing installed is a key way of achieving cheaper energy bills. Here, we explain how it works, how much you could save on your bills, different frame types and what the energy ratings mean. What is double glazing, and what are the advantages over single glazing? • Keeps warm air in – Meaning your property is better insulated. This results in fewer draughts and cheaper heating bills. • Keeps noise out – You’ll hear far less noise from outside with double glazing. • Heightens security – Double-glazed glass is more difficult to break than single glazing. How much cheaper will my energy bills be if you install double glazing? If you were to replace all of the windows in a three-bedroom, semi-detached house, going from single-glazed windows to double glazing, the Energy Saving Trust says that you’d save between £75 and £100 per year with B-rated glass and £85-£110 per year with A-rated glass. As double glazing should last for at least 20 years, that’s a saving of between £1,500 and £2,200 over 20 years. What is the Window Energy Rating (WER) system? The Window Energy Rating system follows a similar pattern to appliance energy labels, with windows being rated between A+ (the best) and G (the worst). Building regulations require all new windows to be at least C-rated. The difference in energy saving between an A, B or C-rated window isn’t huge. What types of double glazing frames are there? uPVC Frames; Available in a variety of colours and finishes, including wood, but white is the most popular option. It’s easy to keep clean, too, requiring little more than a wipe down with a soft cloth and a spot of washing up liquid every now and again. Aluminium frames; With huge advancements over recent years in design, thermal performance, security and aesthetics. Timber frames; Many people feel wooden windows look nicer and more subtle than uPVC, particularly in traditional or period-style houses. Timber windows tend to be more expensive option. Are there any alternatives to double glazing? If you are unable to install double glazing (for example, if you live in a listed building), secondary glazing is an alternative. 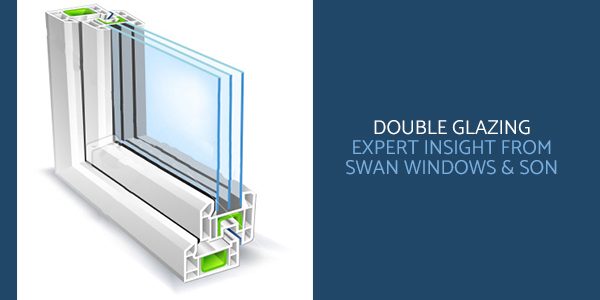 This involves fitting a second layer of glass inside your existing windows.